Arc of Orange County: An organization that provides aadvocacy and services to people with intellectual and developmental disabilities. Autism Society of North Carolina: A statewide organization advocacy, training and education, and direct services to individuals with autism. Division TEACCH: A statewide organization offering research, training, and services for individual with autism spectrum disorder. Autism Speaks: The world's largest autism advocacy organization that sponsors autism research and conducts awareness and outreach activities. Anxiety and Depression Association of America: A national advocacy organization for individuals suffering from anxiety and depression. 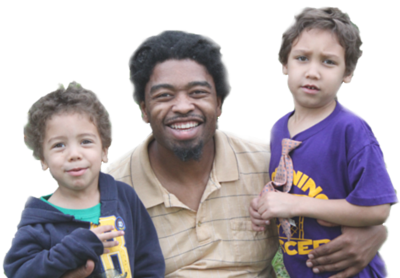 CHADD: The nation’s leading non-profit organization serving individuals with ADHD and their families. ECAC (Exceptional Children’s Assistance Center): A private non-profit parent organization providing information, education, outreach, and support to and for families with exceptional children across the state of North Carolina. Alliance Behavioral Health: Mental health, intellectual/developmental disabilities and substance use/addiction services in Durham and Wake Counties. Department of Health and Human Services: A government agency responsible for providing humans services to individuals in North Carolina, including mental health services. National Alliance for the Mentally Ill: The nation’s largest grassroots mental health organization to provide the resources, education, and support to help individuals living with mental illness. National Institute for Mental Health: The largest research organization in the world specializing in mental illness. Mobile Crisis Units: Available at all times for individuals who may need support to prevent a crisis related to mental health, substance abuse, or intellectual/developmental disabilities. Go to your local emergency room or call 911! Tourette Syndrome Association: Provides educational information about Tourette Syndrome for patients, caregivers, and physicians.